Amusing if overextended debut about the misadventures of a Colorado waitress. 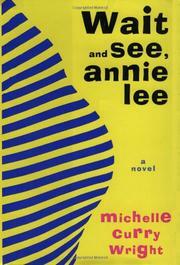 Annie Lee Fleck would like to have a baby, and there’s no physical reason why she can’t. Her husband Lucas, an innovative chef, is lusty and loving; the kindly local doctor has assured her it’s only a matter of time. But Annie is given to obsessions, and she’s soon preoccupied with ovulation schedules and other minutiae of conception. In fact, she wants a baby so much that she invents one. She calls the 800 number of Poison Control and says worriedly that her imaginary child, Sydney, has swallowed a leaf from an ornamental orange tree. Delighted by the caring response she gets from the unknown phone counselor, Annie Lee calls them more and more. This isn’t her only idiosyncrasy. She also spends her off-hours dreaming up new paint colors—mixed for her by the long-suffering owner of the hardware store—and repainting every room in the old Victorian house she shares with Lucas. And she invents and collects fortunes, epigrams, mottos, and the like. When Lucas overhears one of her Poison Control calls, he decides his eccentric wife has gone too far. He decamps to his mother’s house in Seattle to think things over, and Annie finds out upon his return that he ran into an old flame. Can this marriage be saved? Perhaps. Annie Lee swallows a huge diamond left in a martini by a nutty customer, who then gives it to her. With a little money at last, she and Lucas plan to open a restaurant. The bottom floor of their old house should prove ideal for this purpose—why, pots and pans stick to the walls, as if by magic! Readers may well be weary of whimsical complications by the time the elderly next-door neighbors explain this phenomenon. Starts out fresh and funny, then turns awfully cute awfully fast. Still, the story is entertaining, and the author has a talent for quirky characterization.